GOD IS GOOD ALL THE TIME! Thank you Chan...you are the best sales person I've ever met!!! This is the second vehicle we have purchased here with Ms. Chan. She is very sweet and very helpful. Everyone at the dealership is nice. The finance guy is great too. Doing business with INFINITI of Mobile is always such a pleasure! Service is always complete and expeditious! Mike McVay is always available to take my call or greet me in the store, always with a big smile. I can't think of anywhere or anyone else I would want to buy my car through! They are awesome! 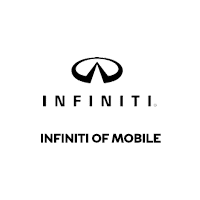 INFINITI of Mobile is the best place to buy your next vehicle. We have an extensive selection of new and used vehicles. Come to our Mobile dealership for a hassle-free car buying experience. We are confident that you will find the vehicle you are looking for at INFINITI of Mobile. We look forward to assisting you get the vehicle perfect for your requirements and lifestyle. We would also like to be your Atmore INFINITI dealer alternative. We have the full lineup of INFINITI vehicles at our dealership in Mobile. This includes the amazing Q50 Sedan and the Q60 Coupe. For those who want to become the center of attention, we recommend the new Q60 convertible. We also have an impressive inventory of crossovers and SUVs like the QX50 and QX80. Buyers can also find various used and certified pre-owned INFINITI vehicles on our lot. Pascagoula, MS INFINITI enthusiasts can contact us to find out more about the vehicles or services we offer at our store. Our dealership is located at 1147 E I-65 Service Rd S in Mobile. We have all the models in stock. These vehicles are known for their luxury, performance and style. Get behind the wheel of one these cars and experience true magic. 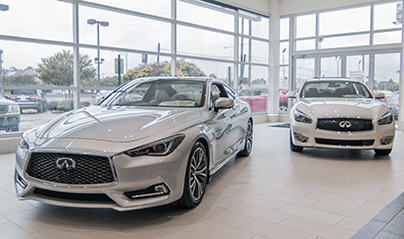 We understand that each customer wants something different in his/her car, and we are positive that Pascagoula, MS INFINITI customers and others from nearby areas will find everything that they are looking for, in a vehicle from this brand. If you are planning to visit us at INFINITI of Mobile, check out our hours and directions page. Our professional service and parts departments in Mobile will take care of all your automotive needs. Our certified technicians will make your vehicle look and run as good as new. Pascagoula, MS INFINITI customers can schedule a servicing appointment online as well if they are short of time to actually drop by. We also highly recommend checking out our parts department, where we offer only genuine components. Atmore INFINITI owners are invited to explore our inventory of accessories if they are looking to make a statement with their vehicle and add their personal style to it.